Cologne – The new Rhein Chemie Additives business unit of specialty chemicals company LANXESS is exhibiting its premium products for the polyurethane industry at UTECH 2015 from April 14 to 16. The comprehensive product range includes flame retardants, plasticizers, crosslinking agents, catalysts and hydrolysis stabilizer for rigid and flexible foams, coatings, elastomers, sealants and adhesives. The focus will be on innovative halogen-free flame retardants that are based in part on a newly developed type of phosphorus chemistry. These are characterized by low fogging and scorching, making them ideal for use in the furniture and automotive industries. The new Disflamoll TP LXS 51092 grade was primarily developed for PU flexible foam and elastomers while Levagard TP LXS 51114 is especially suitable for flexible foam. Both flame retardants can be used in polyester as well as in polyether flexible foams. Foams manufactured using Levagard TP LXS 51114 even meet the German Association of the Automotive Industry’s strict VDA 278 standard for the characterization of non-metallic materials in cars. The established reactive flame retardant Levagard 4090 N is now available in improved quality owing to process optimizations. 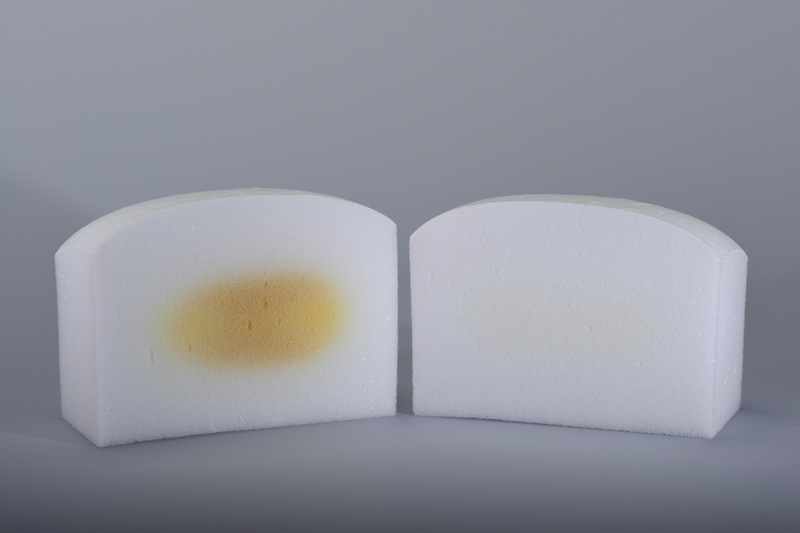 The lower acid number and water content ensure better processability, especially in the manufacture of rigid polyurethane foams. LANXESS will also be exhibiting its phthalate-free plasticizers from the Mesamoll range for the first time at UTECH. They are ideal for the production of PU sealants or for use as cleaning agents for polyurethane processing equipment. LANXESS has combined the activities of the former Rhein Chemie and Functional Chemicals business units with the specialties business of the previous Rubber Chemicals business unit to form the new Rhein Chemie Additives business unit. “The merged businesses are not only optimally adapted to meet customers’ needs, they also complement each other perfectly. We stand for tailor-made solutions, top technical know-how and the ultimate in additives expertise,” says Anno Borkowsky, head of the Rhein Chemie Additives business unit. “We develop, produce and market additives, phosphorus chemicals and specialty chemicals and service products for the worldwide rubber, lubricants and plastics industries. We also manufacture organic and inorganic colorants. Our high-quality products improve the processability of materials and give the finished articles the desired properties,” he says, talking about the core business. Rhein Chemie Additives is divided up into four areas (Plastic Additives Business, Rubber Additives Business, Lubricant Additives Business and Colorant Additives Business) and operates an international production network with sites in Europe, Asia, and North and South America. “With our own laboratories and technical competence centers in all parts of the world, we can respond quickly and flexibly to the needs of our customers and develop and test individual formulations on the spot,” adds Borkowsky. Through this merger the company offers customers an even broader range of high-quality additives and outstanding applications technology expertise. According to Borkowsky, Rhein Chemie Additives’ good global orientation is opening up a wealth of new growth prospects in many business areas and further strengthening the company’s competitive position.